The Homeschool Gossip: A Free Davidson Community Players Youth Show Tomorrow 11/19/17! 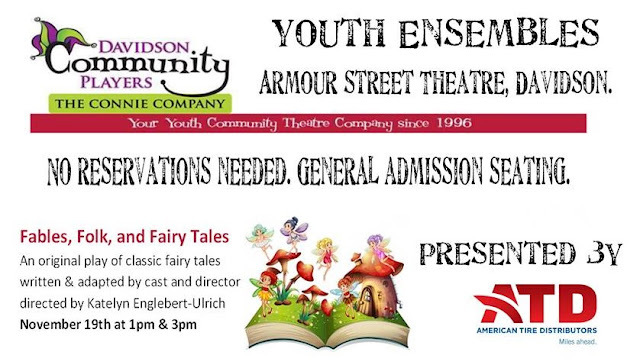 A Free Davidson Community Players Youth Show Tomorrow 11/19/17! An original play of classic fairy tales written and adapted by cast and director.